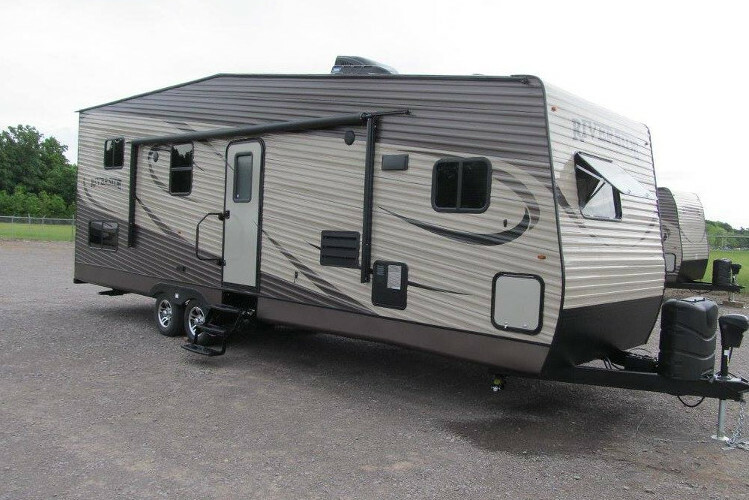 From the ground up, Vohne Liche Manufacturing are built to be the most functional, durable, and practical campers on the road today. We start by using 5,200 pound axles for over terrain durability, and then we put on Aluminum Alloy Wheels for a great automotive look. Our steel I-Beam chassis is the strongest in its class, and we use 5,000 pound rated scissor jacks for maximum stability. Because VLMRV trailers are designed by actual campers, we put in the "extras" that the big corporations don't. Our 10 gallon water heaters have an "extra" 66% larger capacity so you don't run out of hot water. Our A/C's are upgraded to "extra" large 15,000 BTUs, and are dual ducted for twice the air flow. Our furnaces are "extra" large 30,000 BTUs for extended season camping. We are proud of the campers we build and look forward to you seeing why VLMRV is the choice of experienced RVers!